(CNN) -- Apple says a new software update provides tools to get rid of the so-called "Flashback" virus that has infected hundreds of thousands of Mac computers. In a post on its support forums, Apple said the update to the Java software platform "removes the most common variants" of the Flashback malware. Last week, a Russian security company reported that as many as 600,000 Macs, most of them in the United States and Canada, had been infected by Flashback, a Trojan horse virus that infiltrates computers, secretly giving someone else remote access to them. Flashback was first discovered in September, disguising itself as an Adobe Flash Player installer. Apple recommended the new update to all Mac users who have Java installed. Throughout their history, Macs have been relatively free from most of the viruses and other malware that have targeted PCs, with cybercriminals preferring to go after the larger number of computer users on that system. 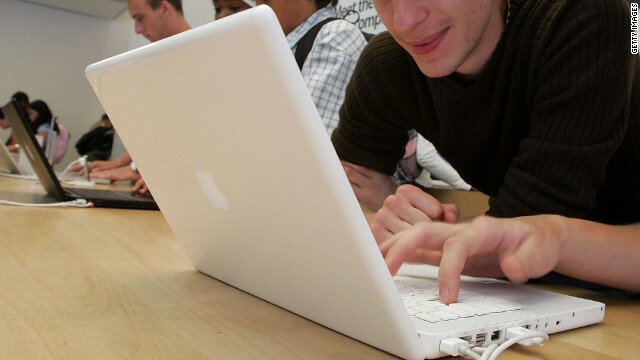 But the rise of Macs has also seen an uptick in the number of Mac users targeted. "Malware authors have targeted the Mac OS for quite some time; however, the recent OSX.Flashback.K infections indicate a very significant shift to the current threat landscape, which is dominated by malware on the Windows operating system," Web security firm Symantec posted on its blog. Symantec estimates that the number of computers still infected is down to about 270,000, slightly less than half of the number that was reported a week ago. Apple, which prides itself on keeping a safe environment for users, was criticized in some quarters for the amount of time it took to respond to Flashback. "Better late than never?" wrote Tony Bradley of PCWorld on Friday. Bradley was more complimentary of the fix itself. While previous updates have closed the loophole that allowed the malware, the latest fixes the damage and is designed to protect Macs from similar attacks in the future. "Kudos to Apple," he wrote. "It may be late to the game when it comes to helping users remove the Flashback malware from Mac OS X, but it has raised the bar for proactively protecting systems at the same time."